Posted on October 8, 2016 by thelostlighthouse	in Literature and tagged book review, books, fantasy, fantasy novel, Literature, The Kingkiller Chronicle, The Lost Lighthouse, The Name of the Wind, TLL. Why review this book now? 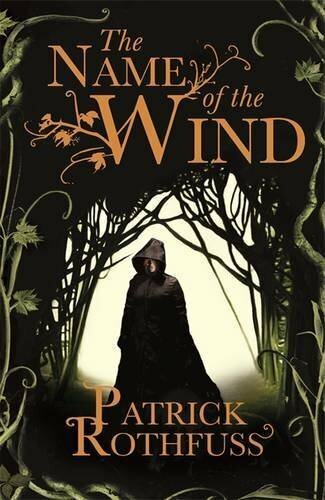 The Name of the Wind was first released in 2007 as the first instalment of The Kingkiller Chronicle, now spanning two novels, three novellas, with a cumulative pile of sales reportedly higher than ten million copies. Lionsgate recently bought the rights to a complex multimedia project to develop the series simultaneously into movies, video games, and television series. Fans tattoo quotes, cosplay, and desperately yearn for the next instalment. Why review this book now? Because I’m worried you might not have read it. The Name of the Wind follows flame-haired, brilliant Kvothe (pronounced almost like quothe), the narrative split into two timelines- the first, a framing tale where the innkeeper Kote is relaying his former life as Kvothe to the travelling scribe named Chronicler, interrupted by augurs of doom, set away in a small hamlet in the middle of nowhere. The second, the tale of his life as told by the man himself. Kvothe is a character almost of myth in this world- Kvothe the Arcane, Kvothe Kingkiller, Kvothe the Bloodless. As the nesting narrative intrigues us with demonic attacks and plentiful mysteries, Kvothe’s autobiography takes us from his childhood with a travelling troupe of Edema Ruh entertainers (a Romani-esque people) to his young adulthood. I’m not going to talk a lot about the plot- in summary, he travels, he learns, sees tragedy, survives as a beggar for years, before finally making his way to the grand university- the only place that might hold the answer to the awful fate that befell his family. This book has many charms- an intricately built world, the setting woven inextricably into every sentence and moment, the beautiful descriptions of music and emotion, the tightly structured and delivered moments of character and development. The intricate magic systems of sygalldry, sympathy, and most importantly naming feel concrete in their rules, as true parts of the setting. For the huge fantasy doorstopper that it is, it never seems to lag- Rothfuss has a care in language and a respect for plot that makes even the most mundane scene arresting. Kvothe is too charming, too witty, a brilliant musician and thinker who is brave, smart, and handsome. He only works as a protagonist because his flaws are many, and often the cause of his own pain. He is prideful and stubborn, quick to anger and to action. Kvothe’s decisions always have logic in the heat of the moment, but it is painful to read as his rash thinking incurs more strife and woe. I won’t talk about his love interest or his friends or his mentors or his enemies. They exist. I’d rather you discover them for yourself. The Name of the Wind is one of the most successful fantasy novels of recent years and deservedly so. It is hopeful and heart-breaking. It is a love story and an adventure and a mystery.